Researchers at the University of Sydney have found that engaging in computer-based brain training can improve memory and mood in older adults with mild cognitive impairment but training is no longer effective once a dementia diagnosis has been made. The results are published in the American Journal of Psychiatry. Mild cognitive impairment involves a decline in memory and other thinking skills despite generally intact daily living skills, and is one of strongest risk factors for dementia. People with mild cognitive impairment are at 1-in-10 risk of developing dementia within a year and the risk is markedly higher among those with depression. Brain training is a treatment for enhancing memory and thinking skills by practicing mentally challenging computer-based exercises which are designed to look and feel like video games. Dr Amit Lampit from the School of Psychology, who led the study said the results showed brain training could play an important role in helping to prevent dementia. “Our research shows that brain training can maintain or even improve cognitive skills among older people at very high risk of cognitive decline and it’s an inexpensive and safe treatment,” Dr Lampit said. To arrive at their conclusions, the team combined outcomes from 17 randomised clinical trials including nearly 700 participants, using a mathematical approach called meta-analysis, widely recognized as the highest level of medical evidence. 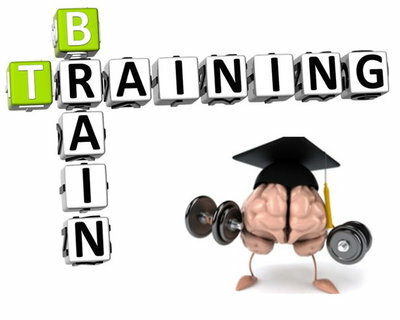 The team has used meta-analysis before to show that brain training is useful in other populations, such as healthy older adults and those with Parkinson’s disease. “Taken together, these wide-ranging analyses have provided the necessary evidence to pursue clinical implementation of brain training in the aged-care sector while continuing research aimed at improving training effectiveness,” Dr Lampit said. Associate Professor Michael Valenzuela, leader of the Regenerative Neuroscience Group at the Brain and Mind Centre, believes new technology is the key to moving the field forward. “The great challenges in this area are maintaining training gains over the long term and moving this treatment out of the clinic and into people’s homes. ” Associate Professor Valenzuela said. Associate Professor Valenzuela is one of the leaders of the multi-million-dollar Australian Maintain your Brain trial that will test if a tailored program of lifestyle modification, including weekly brain training over four years, can prevent dementia in a group of 18,000 older adults.